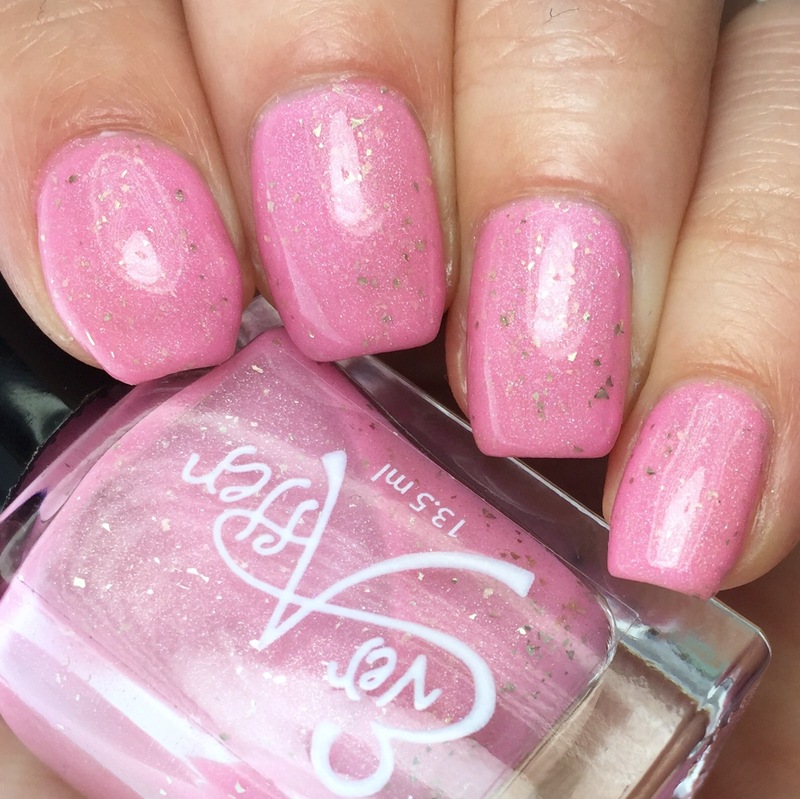 If I’m being totally honest, I don’t love pink polishes. In my whole collection, I have maybe a handful, and some of those are really orangey neons. However, I do LOVE holo polishes with flakies, which is how I ended up with this polish. 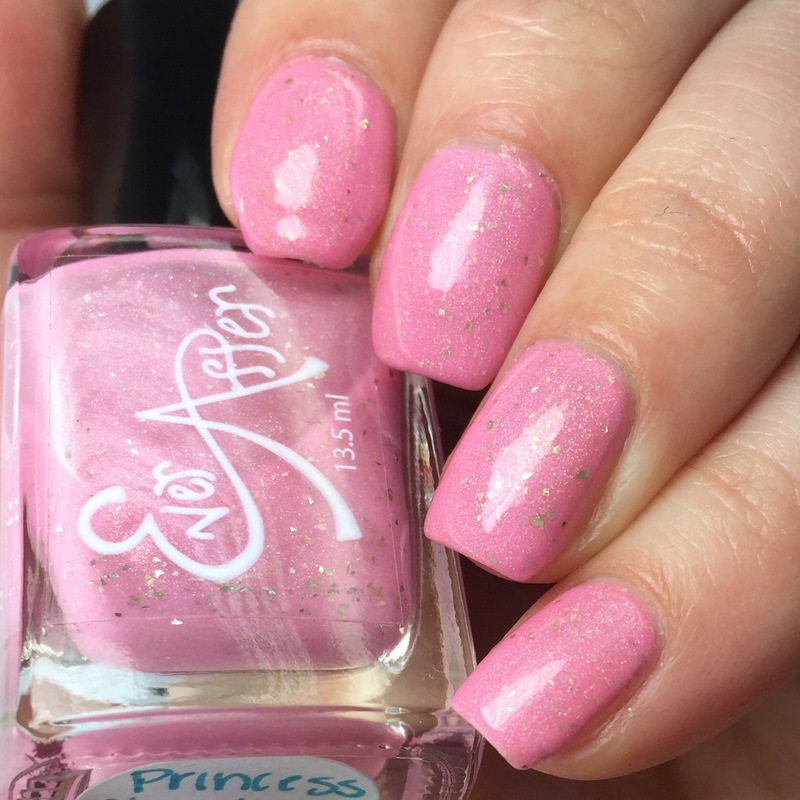 “Princess Christmas Cake” is a pretty, baby pink subtle holo with white gold-colored flakies. Putting it on, the thought “huh, maybe I don’t hate pink” actually crossed my mind. The formula on this was good. It went on smooth and shiny in three thin coats and was easy to work with. With lighter colors, I have a tendency to do more thinner coats, but I think you could have gotten away with two thicker coats. Even with the flakies, the formula was very good and perfectly smooth. Alright, alright, it looks great, even despite my great hate of pink. The polish merit is strong with this one. This is still available on Ever After’s website, and I recommend checking things out over there- in general their holo-flakies game is on point. I encourage you to check them out- plus I love their hand crellies for keeping my dry hands moisturized at work!